You are here: Home / Pondering Airway / Do We Use A Pre-Intubation Checklist? 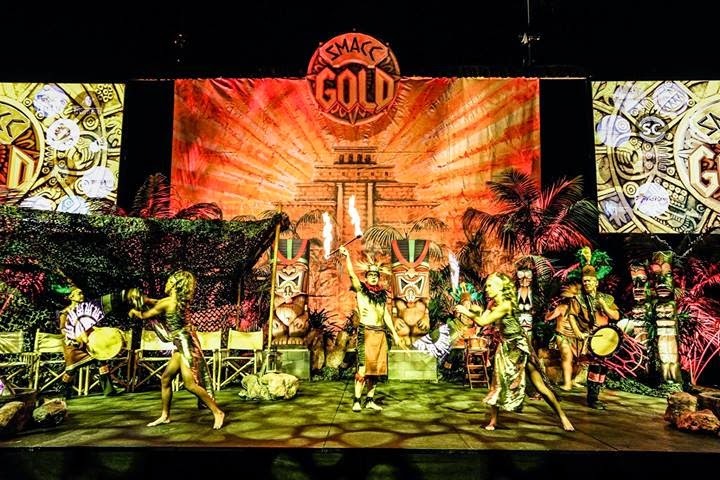 Back in April, I attended what has been dubbed ‘the greatest medical conference of all time’ by some of the online critical care community – SMACCGold. As expected, the experience was phenomenal. I found myself in an excited frenzy about the career I am lucky enough to find myself persuing – Emergency Medicine. Some of the hottest property in #FOAMed and EM/critical care gave talks that were inspiring and educational in equal measure. Watching the speakers perform in the flesh (rather than listening to them on a podcast) with the stunning ‘tribal’ backdrop on the main stage was awesome. One of the talks that had the biggest impact on me was given by Tim Leeuwenburg. It was during the ‘Airways for All’ session on the third day. Tim, who authors the brilliant kidocs.org website, is a rural/prehospital GP with a keen interest in airway management (he is the proud owner of 5 surgical airways!). He was debating the mighty Minh Le Cong on the issue of pre-intubation checklists. Tim was arguing the case for and Minh against. You can find a fantastic blog post from Tim regarding checklists here. My experience of airway management is minimal. Whilst a junior ED registrar based in Sydney in early 2013 I was lucky enough to have been granted a 3-month anaesthetics rotation. I got some great airway experience in the controlled theatre environment, and, by the end of the rotation, felt reasonably confident intubating (when the laryngoscopy was easy, and I was being heavily supervised!). Since then I have performed 3 intubations in the ED. It reminds us of the vital basics when hurriedly preparing for the procedure in a high-pressure, stressful environment. It’s a cognitive aid during the inevitable sympathetic surge – reducing task fixation and loss of situational awareness. It prompts a ‘timeout’ to ensure that all team members are singing from the same hymn sheet (a ‘shared mental model’ as Tim put it). All team members are assigned roles, and therefore know what is expected of them. It ensures there is a plan in place should a difficult airway be encountered. It ensures we verbalise the plan so the whole team are prepared, not just the team leader/intubator. Tim’s talk at SMACCGold got me thinking – why on Earth are checklists not commonplace in every ED in the whole world!? What about my own department… I know we have a checklist, but do we use it? Do people know it exists? How do we feel about the concept of using a read-aloud checklist pre-RSI? I created a questionnaire on Googleforms and emailed it to the doctors and critical care-trained nurses in my department. Here is the questionnaire. Over the course of 4 weeks 70 of my colleagues completed the questionnaire. Here is the raw data. This project is still very much in its infancy, and the biggest challenge will be change implementation. The wheels are now in motion and I plan to re-audit later this year in November. We implemented a peri-intubation checklist at our place and now have a 90% reported compliance with it. This is probably falsely elevated because many people report compliance when they just do a "mental" checklist, but it has really helped us increase our first pass success rate and decreased our adverse event rate. Andy thanks very much for the comment. A 90% reported compliance is fantastic, I would love to see those numbers in my re-audit. It would be very interesting to chat with you about exactly how you went about achieving team buy-in, which I feel is the biggest challenge. I am currently in the process of getting ethical approval for our ED for the ANZED emergency airway registry (which I assume is the registry your place contributes to), and the department has been pretty positive about our potential involvement. I am hoping it has an impact on checklist compliance, and adhering to 'best practice' emergency airway management generally. Cheers.